Trashlab : Trashlab repair café at Aalto Fablab : Trashlab repair café at Aalto Fablab 16.11. / Pikkujoulu 14.12. 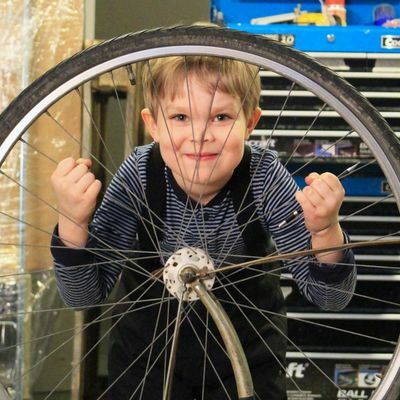 Trashlab repair café at Aalto Fablab 16.11. / Pikkujoulu 14.12. 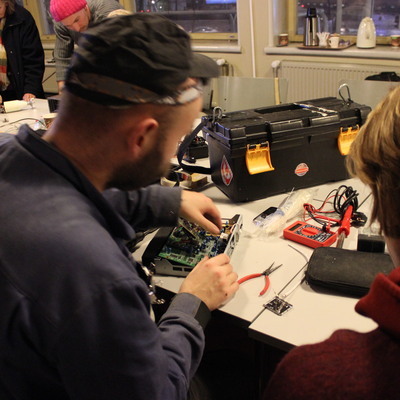 Each month during 2013 we organise and promote a Trashlab repair café event at a different location. In November, our last workshop of the year, we´ll meet in Aalto Fablab in Arabianranta, on Saturday 16.11. from 12 to 16.00. Aalto Fablab is an open and free-for-all workshop, which is equipped with 3D-printer, vinyl cutter and so on. It is a service provided to Aalto staff, researchers & students from Monday-Friday, with Tuesday afternoon being their regular open period for anyone else to come along. In this specially arranged Saturday-afternoon session, our old friend and a DIY-wizard Albert Laine will lead the repairing. Albert will help with wood, electronics and other items. Also, Anu Määttä & Palash Mukhopadhyay will be on hand to help with their specialist knowledge of tools & machines there, some spare parts and learning support to fix your stuff, Aalto Fablab -style! ++ Huom! Mark your calendar: Trashlab pikkujoulu 14.12. from 13-17 at Pixelache office is our last gathering of the year, to reflection on past experiences & plan for the future year ahead of monthly Trashlab cafés at Kaupunkiverstas in 2014. Tervetuloa! Trashlab repair café events are social occasions to gather and try to fix the things you have that are broken, and meet others who care about tinkering, fixing, hacking, and the problem of waste and obsolescence in society. Each time we try to identify someone(s) in advance who have some experience/skills, although everyone is encourage to help each other. Keep in touch online by joining the Facebook group 'Trashlab' for notice of events.. Or send an email to: andrew [-at-] pixelache.ac and he will add you to trashlab [-at-] pixelache.ac list [which is a google administrated group of pixelache.ac], and this list promotes the different Trashlab events outside Facebook. Each month during 2013 we organise and promote a Trashlab repair café event at a different location. In November, our last workshop of the year, well meet in Aalto Fablab in Arabianranta, onSaturday 16.11. from 12 to 16.00. Aalto Fablabis an open and free-for-all workshop, which is equipped with 3D-printer, vinyl cutter and so on. It is a service provided to Aalto staff, researchers & students from Monday-Friday, with Tuesday afternoon being their regular open period for anyone else to come along.